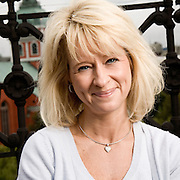 Annika Falkengren - SEB Bank. Photographed by Brian Smale in Stockholm, Sweden for Fortune Magazine's list of 50 Most Powerful Women. To see a larger version of any photo, please click on a thumbnail image.